The expenses incurred on electricity consumption are one of those expenses which one has to bear on a regular basis. Every month you receive a bill of the electricity which you have consumed through different appliances. When the bill is surprisingly higher in a certain month, you start thinking, “How come my bill is so high than the previous month, given that my electricity consumption pattern has been the same?” In fact, some people are also of the opinion that electronic meters run faster than electromechanical meters. So is it true? No. If you have come across this situation, then let us assure you that you are not the only one who felt like this. In fact, we at Bijli Bachao regularly receive queries regarding the same issue wherein people say that despite their electricity usage being the same as the previous month, their electricity bills have spiked. A very important reason for this lies with the electricity meters. How does that happen? Let us see. 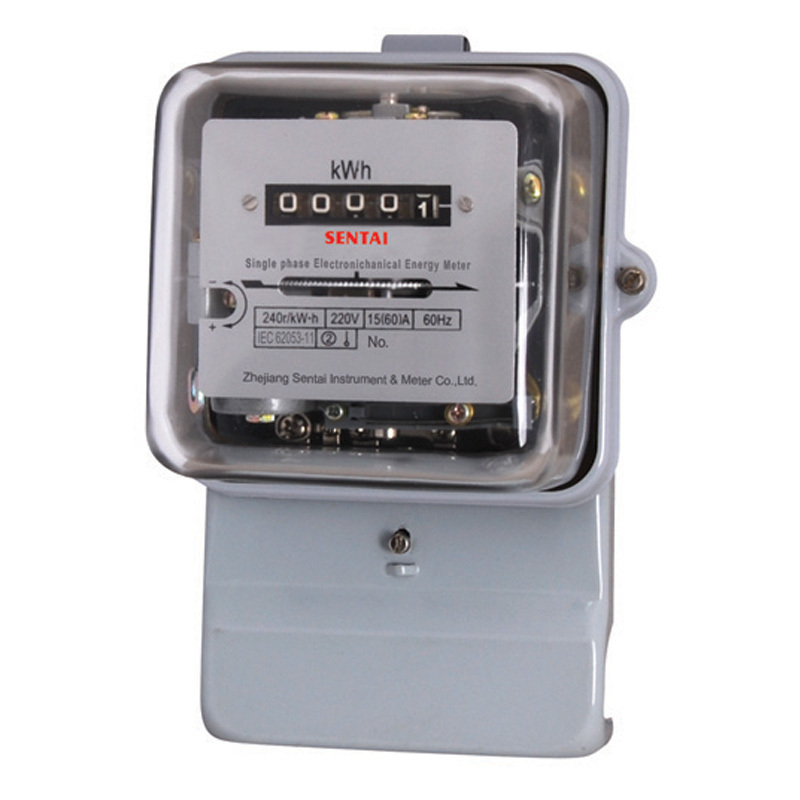 What are electricity meters (energy meters)? 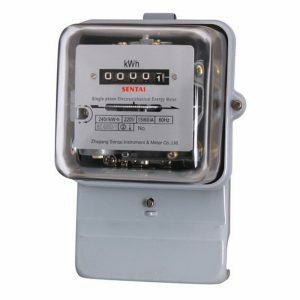 An electricity meter is a device which measures the total electrical energy (or electricity) consumed by the appliances which draw electrical energy from the main power supply at a house or an official space and so on. Electricity meters are a common sight in the households today. When you look at a meter, what do you see? You see a few digits on it. What do these digits signify? These numbers (the reading on the meter) tell you how many units of electricity (mentioned as kWh in the meter) have you consumed so far. And your electricity bill is entirely dependent on this meter. The reading on the meter is cumulative. So to determine the consumption reading of a particular month, the difference between the readings of that month and the previous month is calculated. The value which you get is the electricity consumption of that particular month. Now if this reading is small, it means that your consumption is low and consequently your electricity bill will be lower and if the reading is large, it means that your consumption is high and consequently your electricity bill will also be high. Electromechanical meter: Electromechanical meters were very common in India few years ago. They still are very popular in the rural areas where the penetration of the modern technology is not as high as it is in the urban areas. The working of electromechanical meters is fairly simple. There is a non-magnetic metallic disc attached to it internally which rotates depending upon the power passing through it. So if the power passing through is high, then the disc rotates faster and when the passage of the power is low, the disc rotates slower. The rate of the rotation in turn decides the reading on the electricity meter. Higher the number of rotation, higher is the reading and vice-versa. Since there is rotation of a disc involved, it is bound to consume some electrical energy itself to facilitate the rotations. The power of around 2 Watts is consumed to make it rotate and this power consumption is not registered on the meter. 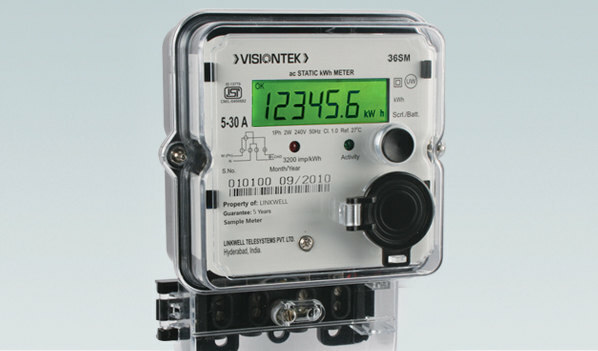 Electronic meter: Electronic meters are becoming increasingly popular now-a-days in urban areas. An electronic meter has a LED/LCD display on which the readings of the electricity consumption of the connected appliances. The readings are digital in the electronic meters in contrast to the electromechanical meters. These are much more efficient than the electromechanical meters in the sense that they do register every small unit of electricity consumed. Smart meter: Smart meters are the newest addition to the type of electricity meters. They look similar to electronic meters but they are better than both the electromechanical meters and the electronic meters in the sense that in addition to providing the usual services of a regular meter, they are connected back to the utility through the internet. It means that there is no need of an official from the utility (which provides you electricity) to come at your doorstep and take the meter readings. The readings are automatically sent by the internet. Although the electromechanical meters have been quite common in the past years, there are certain problems that are attributed to them. Since electromechanical meters consist of moving parts, they are bound to undergo some wear and tear with the passage of time. In a study conducted by Analog Devices Inc. USA, it was found that the accuracy of a electromechanical meter deteriorates subject to the various environmental factors such as humidity, dust and dirt which significantly affect the operating accuracy of the electromechanical meter. Factors like corrosion, worn out gears and insects can render the electromechanical meter unable to capture the electricity consumption of a property accurately. The mechanical gear lubricants may dry up resulting in the breaking in the gear teeth which adversely affects the gear ratio. Also, the electromechanical meters may get mis-calibrated if they experience a sudden shock or vibration which may cause a jolt or a sudden stoppage of the rotating disk. 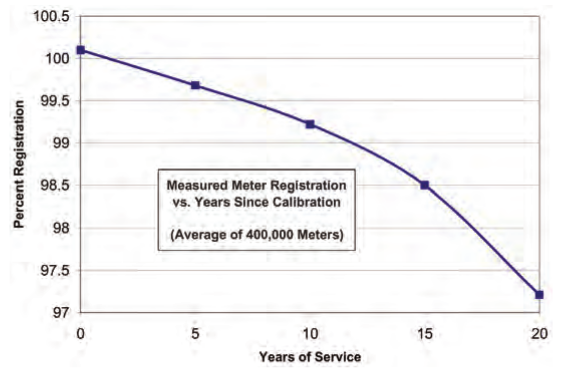 The change in accuracy of electromechanical meters as it ages is shown below in a graph. Electronic meters are a better than electromechanical meters because they do not contain moving parts in it which might get affected due to the various factors as listed above. Also they provide not only the consumed units (as is the case of electromechanical meters) but they also provide other information like the instantaneous and maximum rate of usage demands, voltages, power factor and so on. If you see a sudden rise in your electricity consumption which is confounding you, it is highly likely that it might be caused due to the change in the type of meter at your place. If an electromechanical meter has been recently replaced by an electronic, it is possible that you might experience such a situation. Rest assured, it does not mean that your consumption has increased. It is just that your old meter was not able to account for the minute power consumption which the electronic meter is capable to do, causing the sudden increase in the electricity consumption.